For the most recent version of Audioscope's website, launched in February 2014, I built a responsive WordPress website including a custom theme. 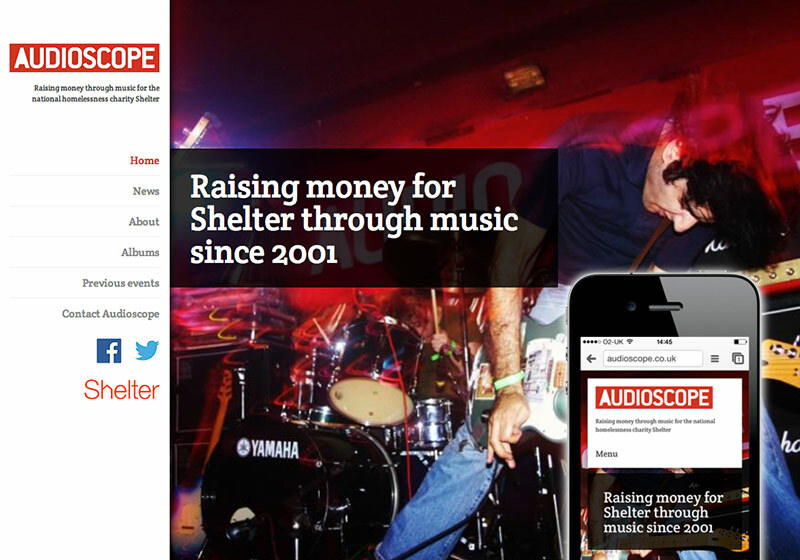 I've been involved with running the Audioscope music festival since it began in 2001, and the website has been through several redesigns and relaunches during this time. This latest version leverages the CMS functionality of WordPress to allow for easy updates by multiple content editors, while retaining a unique design that displays well across all monitor and device screen sizes. The Audioscope team decided to work iteratively with this new website, and this approach informed not only the creation of the launch website, but also led to a series of enhancements and feature additions to be rolled out in the months after launch.